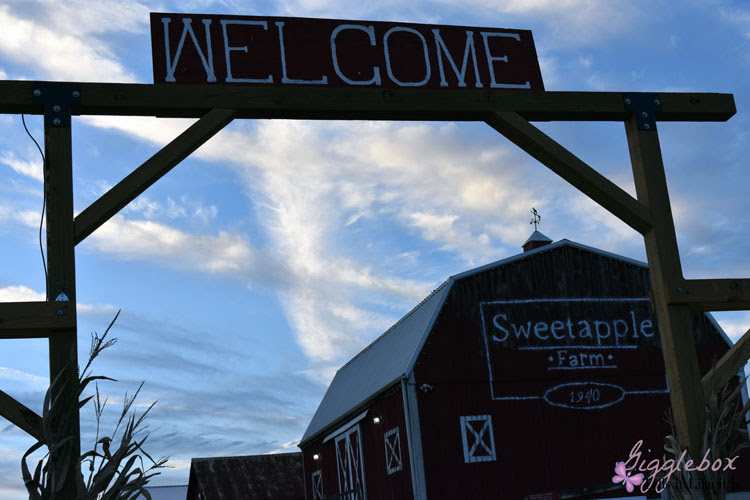 Sweetapple Farm is a family owned and operated farm that is located 15 minutes from Parkersburg, WV. 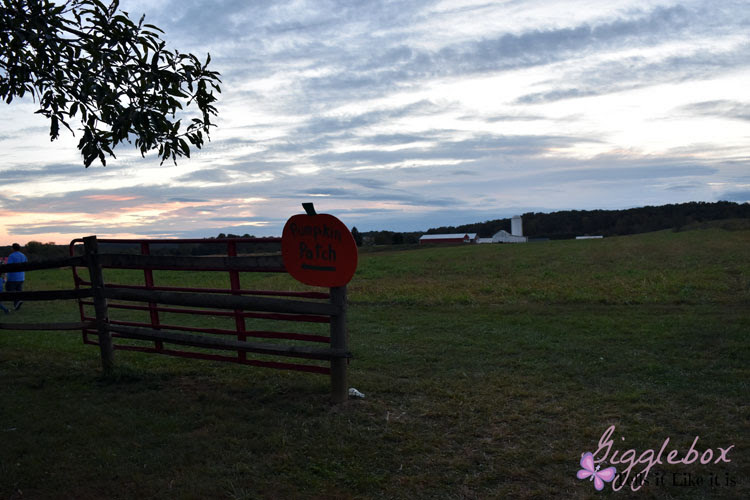 We decided to go closer to dusk because we wanted to go on one of the Spooky Hayrides they have running during their Halloweekends. Tip - get a little early if you're wanting to get on the first Spooky Hayride, it was sold out when we got there. Since it was going to be awhile before our hayride, we decided to head out to the pumpkin patch and pick out our pumpkins. 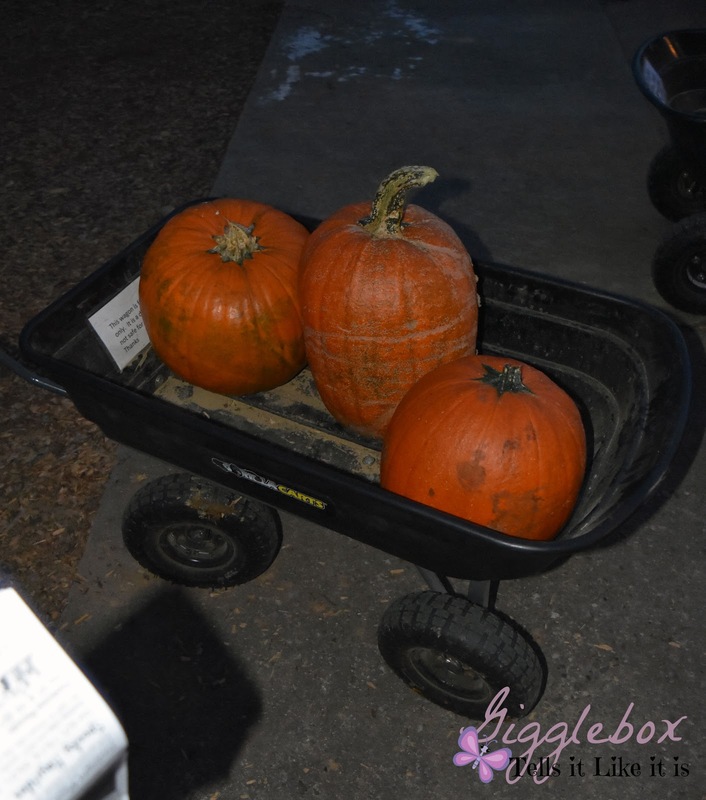 We were excited to see such large pumpkins available for the picking and were even more excited with the price. After Jon took the pumpkins back to the car, we went to one of the several different photo spots they have setup and took some photos. 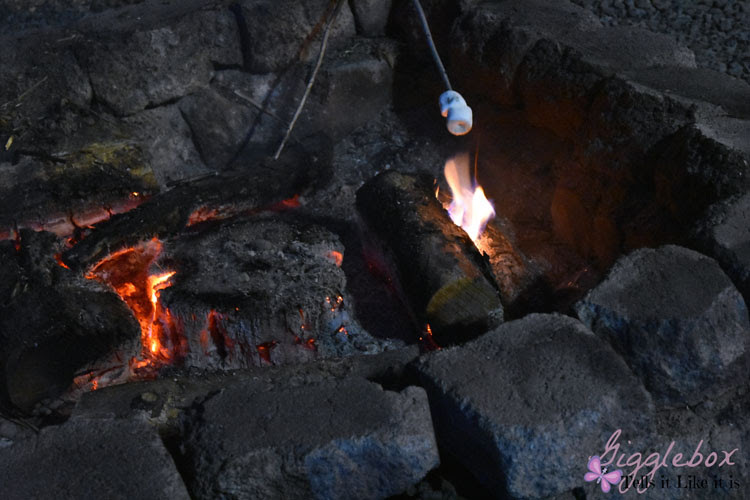 There are also several camp fires going to help keep you warm if the weather is cool, but this night it was still on the rather warm side. They also have a market where you can buy yourself a nice cup of cider or something little to eat. 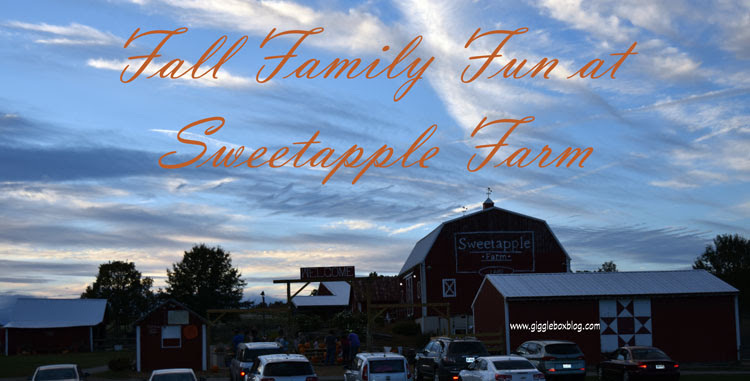 The hayride was fun, but if you're looking to get scared this is not the ride for you. They want it to be friendly for all who ride so no chainsaws or loud noises. Still a nice little ride that you know won't traumatize the kids. 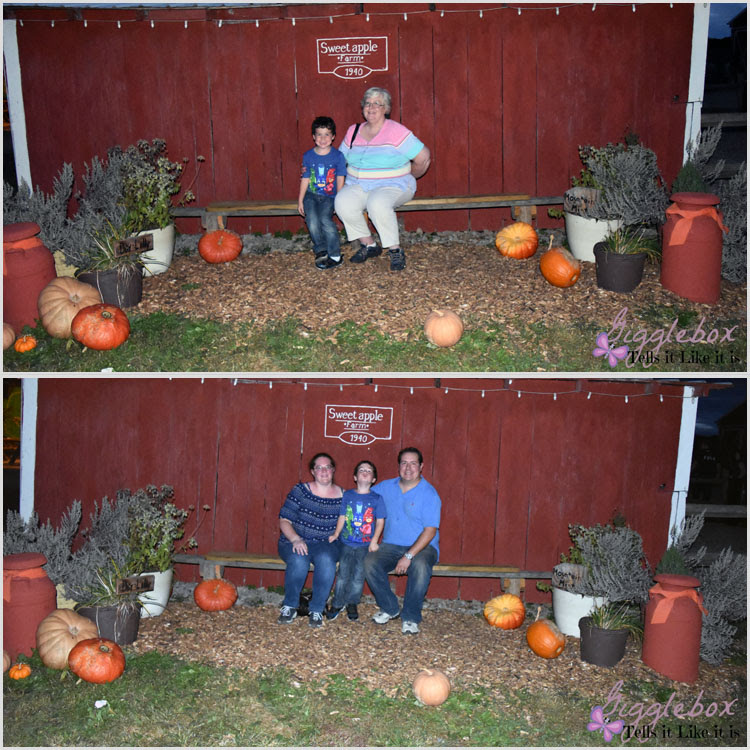 After the hayride, Jon, Michael, and I decided to go and do the flashlight corn maze. It was on my list of things to do while there, but for some reason I never thought that I would need to bring a flashlight. If you forget one and don't have a flashlight app on your phone, they do have flashlights you can rent. In the corn maze, they have their version of the game of Clue. 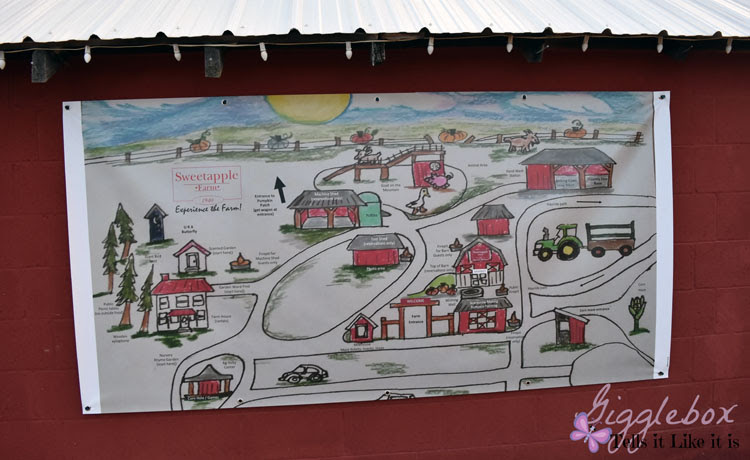 When entering the maze you are given a paper with pictures of animals and tools that are on the farm. Someone stole some eggs and you need to figure out who stole them and with what tool. Throughout the maze there are posts with pictures of an animal and a tool. Attached to the post is a hole punch. You are to punch a hole on your paper on the pictures of the animal and tool at the post. The animal and tool that is not punched at the end will be the one that stole the eggs and with what. Want to find out who did it? You'll have to go through the maze to find out for yourself.